The waterfall Cascade du Rossignolet. 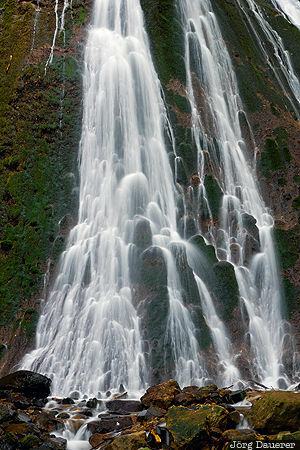 The motion of the water falling down the waterfall is made visible by using a long exposure time. Cascade du Rossignolet is near Le Mont-Dore in Auvergne in the center of France. This photo was taken in the evening in September of 2015. This photo was taken with a digital camera.